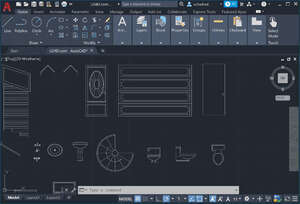 AutoCAD 2013 is THE professional 2D and 3D CAD design tool. It is intended for profressionals who create building blueprints, maps, diagrams and drawings in both 2D and 3D environments. This program by AutoDesk is currently the leader in the field of computer-aided designed. It is used primarily by designers, engineers and architects. For security reasons, you should also check out the AutoCAD download at LO4D.com which includes virus and malware tests. Additional screenshots of this application download may be available, too. AutoCAD download been highly rated by our users.